We hope you have/had a very Blessed Happy Easter! Now that Easter is here, it really is spring! This month of April, the April Echo Special is great! When you spend $500 you will receive a $50 gift card to go out to eat at the Depot. This is good on in stock only purchases and excludes repair. What a great time to buy a special gift for someone special. It’s not even a bad time to start shopping for Mother’s Day, which is coming up fast. 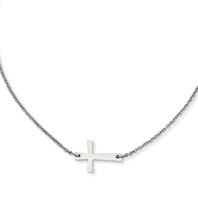 Also keep in mind gifts for graduates, confirmation gifts, and gifts for the special First Holy Communion. So stop by and take advantage of our April Echo Special! We hope to see you in our store soon. Enjoy the spring days which are getting longer and finally warmer. Remember Downtown Alexandria has many wonderful unique stores to make your shopping excursion fun. We also have several great restaurants in our downtown shopping area and the Depot is not far away either. We are also taking sign ups for the upcoming Kyle’s Lakes Area Classic. The tournament will be held on May 20th this year. Call us or email us for more information. 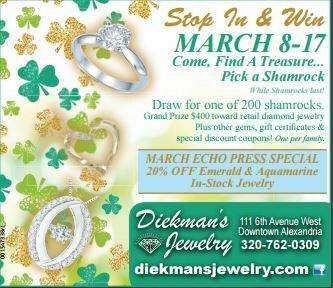 It’s that time of year again and Diekman’s Jewelry is having a Shamrock Sale! Come into our store this next week, till March 17th, St Patrick’s Day, and pick a shamrock. As of this writing we still have the Grand Prize waiting to be picked! We also have the two watches left, and most of the $25 gift certificates remaining. So, please stop in. We’d love to see you! Remember, we can help you pick out a special gift for someone, or to treat yourself to. We offer a great selection of quality jewelry, watches and gifts. A lot of jewelry is still made right here, in America! We also are offering in the month of March a 20% discount on all in-stock aquamarine and emerald jewelry! Why? Because aquamarine is the March birthstone, and emerald is the color for St Patrick’s Day! So, stop by and pick your shamrock this next week through Friday, which is St Patrick’s Day! You might be our Grand prize winner! 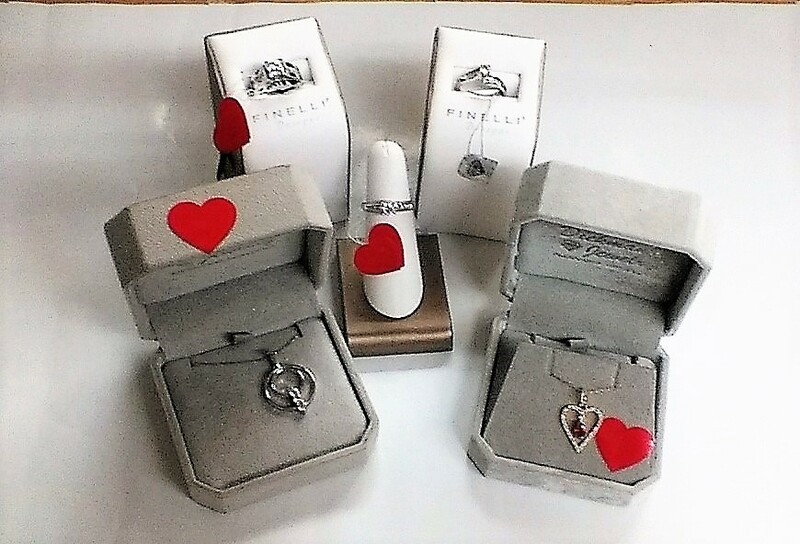 Give your Sweetheart a special gift for Valentine’s Day! As you probably know, next Tuesday is Valentine’s Day! Have you already figured out what you are going to give the special person in your life? 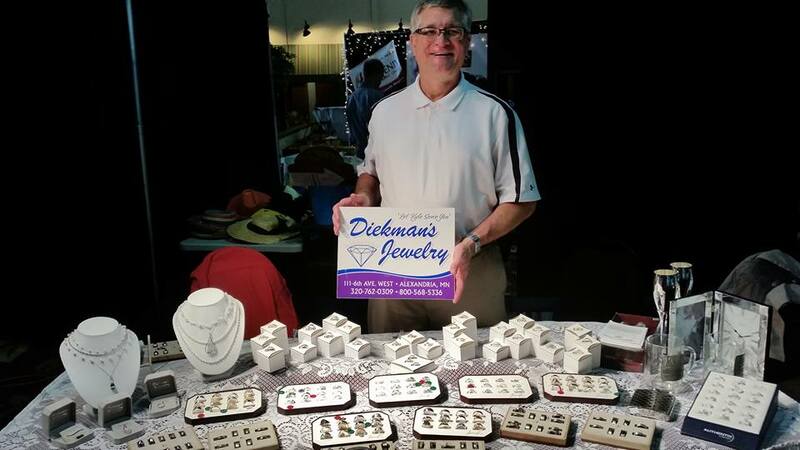 We, at Diekman’s Jewelry, hope you will stop by and let us help you find the perfect gift! We offer a wide variety of beautiful jewelry and watches for men and women. We also carry different price ranges to meet your budget. Giving a piece of jewelry is giving a gift that will last. We are offering a 20% discount on any items marked with a red heart. We also have an Echo Special going on for the month of February. Spent $500 and receive 2 VIP Blizzard Hockey passes. These passes include food and drink with them. They are good for games left this season. So, stop by and let Kyle and Kari help you pick out the perfect, lasting gift!! Kyle and Kari have been busy this January. 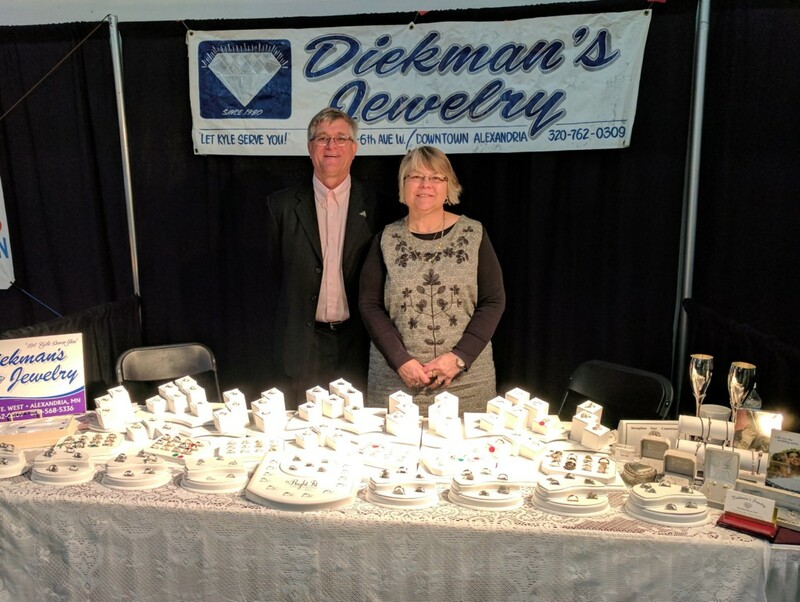 Diekman’s Jewelry had booths at both the KIKV Bridal Extravaganza held at Holiday Inn in Alexandria on January 8th and at the Lakes Area Wedding Expo held January 22nd at the Arrowwood Resort. We were able to meet many brides-to-be, as well as their family, friends, and some future spouses. Both shows were well attended. We are quite sure the brides-to-be were able to find a lot of great ideas for all their wedding needs. Hopefully many of them will come into our store now and pick out a ring or other wedding accessories. At Diekman’s Jewelry, we carry a wide selection of wedding bands, attendant gift ideas, cake knives, goblets, as well as other wedding accessories. 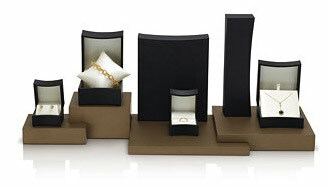 Benchmark is just one of our companies that have a wide variety of wedding bands. We also offer engraving services and free gift wrapping. Thank you to all of you who visited one of the bridal shows, (or both) and stopped by our booth. Search our website under Jewelry to find many links. January Echo Special this month is 15% off storewide! Happy New Year to everyone! Hope you all had a great Christmas and 2017 will be a great year for you. At Diekman’s Jewelry this year something new will be happening. We will be running a monthly Echo Special. During this month of January, we are offering a 15% discount on everything in the store! This special will be for in-stock merchandise only. Repairs are excluded. As many of you already know, we have a wonderful selection of engagements rings, wedding rings, and anniversary bands. How about treating yourself to a stone rings that will look great on your right hand! We have a great selection of both men’s and women’s watches. The brands of Bulova, Sultana, and Temporis are all in stock. If you want something special for your home or as a gift for someone, several decorative Bulova clocks are waiting for you! A great collection of baby and Baptismal gifts for the precious new baby in your life awaits you! We stock baby cups, silverware, banks, and sweet baby rings, bracelets, lockets and crosses. Engraving services are offered in the store, so we are able to personalize that special gift for you. 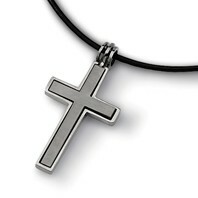 Diekman’s Jewelry also has bracelets and charms, pendants and earrings, and crosses for both men and ladies. I know I have not listed everything, so please stop by a take a look for yourself. We hope to see you soon! Remember that each month in the coming year to look for our new Echo Special! Diekman’s Jewelry is offering you a Christmas Special this shopping season! Gift certificates will be given out when you shop with us this year! We wish you all a blessed Thanksgiving Day to spend with your family and friends, as we thank God for all that He provides for us! The turkey and all the side dishes help make the day special, as well as games played, visiting with your family and friends, and for some of you, watching the parade and the many football games! After you have finished your Thanksgiving Day, stop by Diekman’s Jewelry and see all the great merchandise we have stocked up for your Christmas gift giving! Or pick up a special treat for yourself. That is perfectly fine! We are offering a Christmas Special this year! This special lasts until New Years Eve this year. *Spend $100 and receive a $20 gift certificate, spend $500 and receive a $50 gift certificate! These gift certificates are good to use any time in 2017! Our Christmas shopping store hours starting on December 15th are Monday – Friday 9am-7pm, Saturday, 9-5, Sunday December 18th noon-4. We close early on December 24th and December 31st. We look forward to seeing you! Downtown Alexandria is a great place to shop. We have many unique stores, so please come downtown to enjoy a special shopping experience.